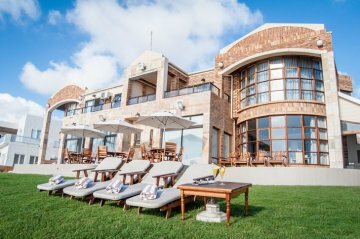 Bay Lodge is situated directly by the beach. Soak up the sun, swim in the sea or stroll along the golden beach. A spectacular setting right on the Bayview Beach. 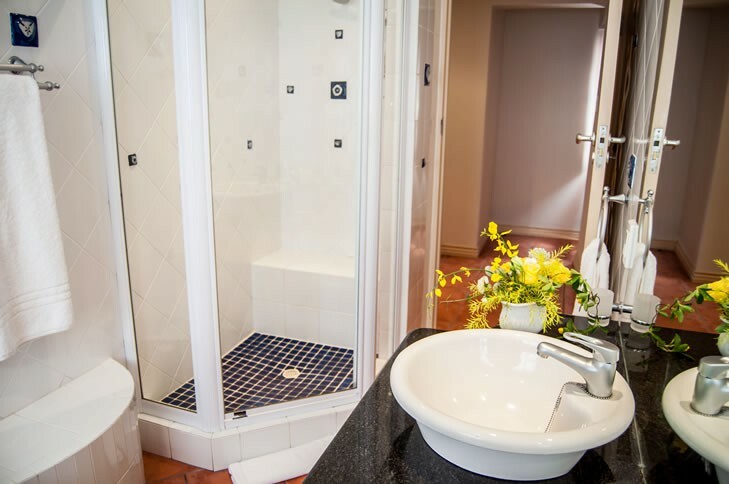 The guest house is situated in a quiet neighbourhood of Bayview, 8km outside of Mossel Bay town centre and 2km from Hartenbos, in the heart of the Garden Route, on the shoreline. 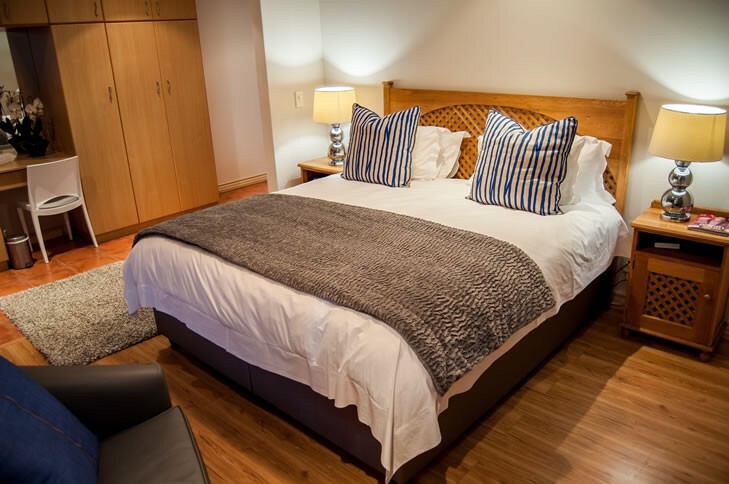 An easy 25min drive from George Airport. 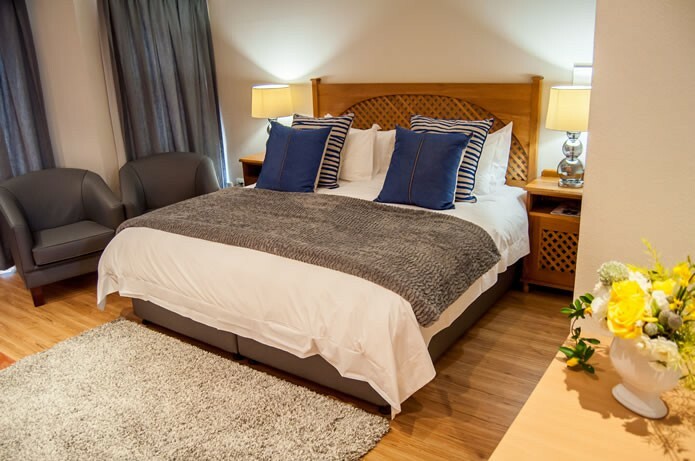 Our rooms offer coffee/tea facilities, fridges, flat screen TV’s, DSTV, electronic safes, luxury amenities and free WiFi internet access. No ocean view from the rooms, but direct access to the stretched beach between Hartenbos and Mossel Bay. 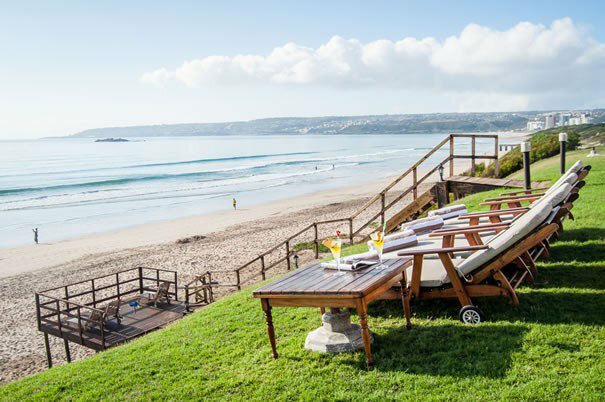 Breakfast can be booked at African Oceans at an additional fee. Kindly inquire regarding this option when making a booking. The area offers a great deal of things to do and is home to the famous shark cage diving done in the Bay. 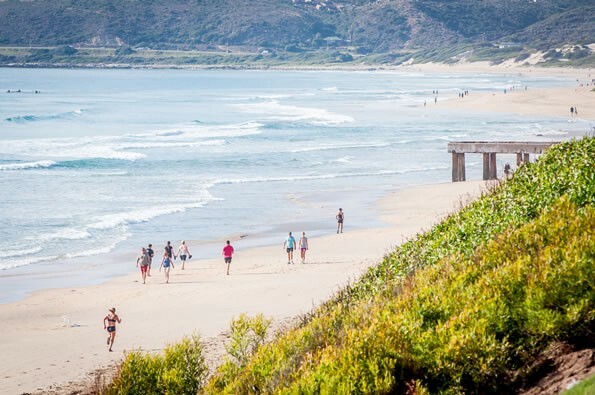 Enjoy walks along the beach, whale and dolphin watching in season, fishing and close by water sports, boat trips, game drives, elephant feeds / rides, lion walks, horseback safaris, helicopter rides and skydiving. 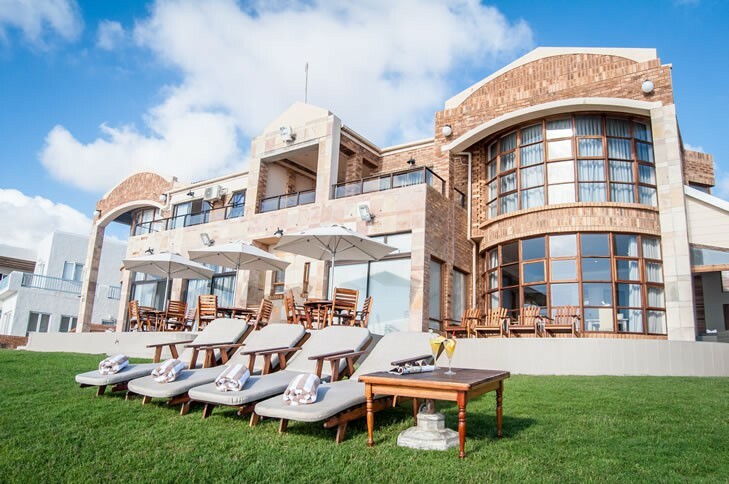 Guests must please check in only between 14:00 and 19:30 at African Oceans Manor, 80metres down the road form us. For late arrivals, kindly contact us in advance on 044 695 1846 or at . Check-outs are also done at African Oceans Manor at 10:30.